Handwashing: A Family Activity - Nuvae Healthcare Pvt. Ltd.
For kids, washing hands can be a fun and entertaining activity. It is simple enough for even very young children to understand. Handwashing gives children and adults a chance to take an active role in their own health. 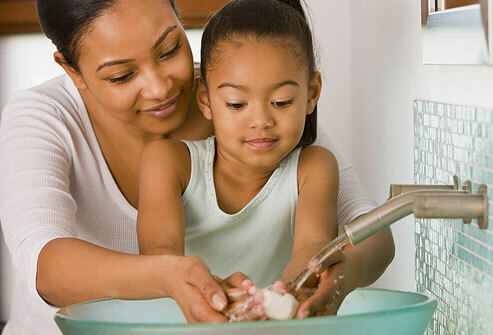 Once kids learn how to properly wash their hands, they can—and often do—show their parents and siblings and encourage them to wash hands, too. Reduces the number of people who get sick with diarrhea by 31%. Reduces diarrheal illness in people with weakened immune systems by 58%. Reduces respiratory illnesses, like colds, in the general population by 21%.